No project is too complex for Devlin’s Painting, and the time we have spent cleaning, painting and maintaining industrial properties gives us an edge in industrial facilities maintenance. We have cleaned and painted interior and exterior commercial walls, ceilings, floors, lockers, gymnasium bleachers, offices and factory production areas. 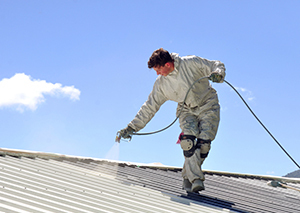 Our professional maintenance services can help you to protect your property investment with regular degreasing, cleaning, minor wood repairs and regular painting and coatings. Complete customer satisfaction is our goal, and we strive to achieve it through open communication. We will tailor each project to your specific needs and can organize the work to be done around your business hours or production times to avoid disruption. Devlin’s Painting knows how to protect your property and inventory while we work, and we always use the right products for the job so that the project will last as long as possible.